Elsevier has a pharmacy management software called Clinical Pharmacology powered by ClinicalKey, a pharmacological search engine. It is designed to help pharmacists, physicians, nurses, and other clinicians to find and apply relevant knowledge — for higher productivity, confident drug counselling, well-informed medication decisions, and optimal patient safety. In this article, we compared the most common pricing options available. As of the date this article was written (11/20/17), there are no user reviews of Elsevier online. If you are a past or current Elsevier customer, leave a review to help others that are deciding whether or not to use the company. Elsevier doesn’t publish their prices on their website, but according to a third party source, a yearly subscription costs $199. They also charge extra for add-on modules such as the Drug IDentifier/NDC Search which costs $99, the IV Compatibility which costs $99, the OnFormulary which costs $119, and the Global Drug Name Database (GDND) which costs $39. 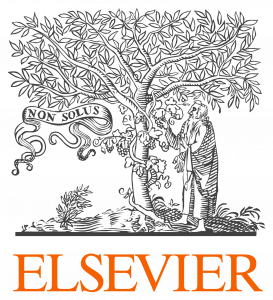 Elsevier offers a 30-day free trial for those who want to try their services first. To get a pricing quote for your business, you may contact Elsevier for a customized plan. Not sure if Elsevier is the contract management software for you? Check out our reviews of other top pharmacy management providers.